The legendary creature is half man... half animal... and a cold blooded killer! 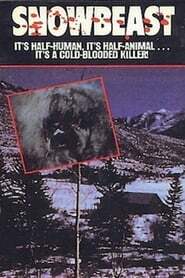 In this made for TV film, an enormous and angry bigfoot creature begins to terrorize a Colorado Ski Resort during a winter carnival, by eating several skiers. At first everyone insists it is just a bear, until ski patrolman Tony Rill sees a white shadowy beastly shape disappearing into the woods. Although Tony's grandmother Mrs. Carrie Rill, who owns the Ski Resort and the town sheriff, Sheriff Paraday disagree, it soon becomes clear when the creature finally attacks the town.